"I was a little hesitant about getting back into piano lessons at first since I went so long without them. Having Jennifer as my teacher made it fun for me, and easier for me to transition into taking piano lessons again. Jennifer worked at my pace and skill level and really put in a great amount of effort into making sure that I grew and improved as a pianist. Only within a short amount of time with her, I mastered playing musical works that I would have never thought I could play. She opened my eyes to a new way of learning and practicing different pieces. Her pedagogical approach helped me excel at learning difficult techniques for the music that I was learning, along with keeping my body and wrists relaxed at the piano. Jennifer also taught me about using my whole body to play the piano and the importance of singing along with your music. I have learned many things that I was not aware of before taking piano lessons with Jennifer. She has not only helped me grow as a pianist, but as an overall musician. Her caring personality and her passion for music has contributed to my overall love for music in many ways. Even when I became frustrated and wanted to give up her helpfulness and words of encouragement gave me more motivation. 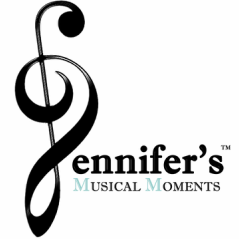 As a music education major in college I plan on using some of Jennifer’s great pedagogical approaches for my students in the future, as they have helped me in so many ways. She is one of the most influential and inspiring piano teachers I know and her dedication to her students will forever be appreciated."